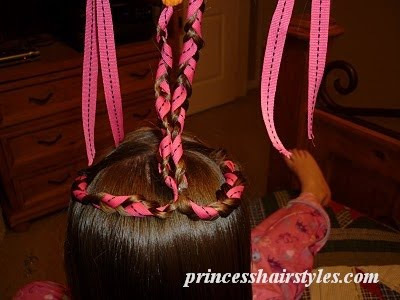 A fun new Valentines hair style! 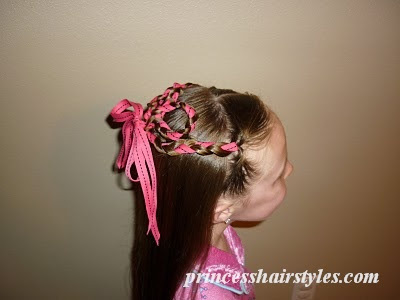 Using a ribbon as one of the strands, make a braid on each side of her head. 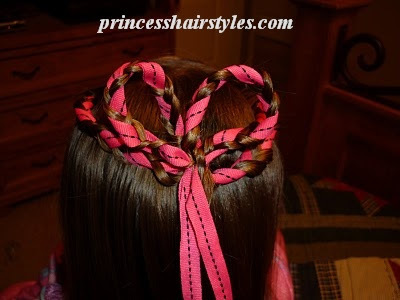 And bring both ends of the braids back down through the elastic to form a heart shape. 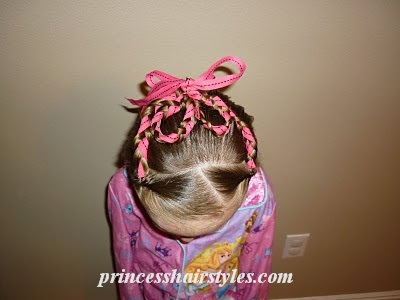 Secure the heart with a couple of bobby pins to keep it in place and tie a bow with the ends of the ribbons. In case you are wondering..... yes, these are her pajamas. 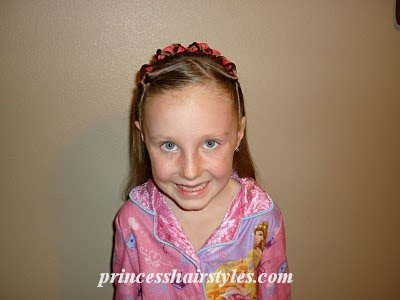 Her favorite pajamas actually! She slept with this hairstyle in and we curled the rest of it in the morning. It held up great and saved us time in the morning! A little warning: You're going to need fairly long hair to do this hairstyle. 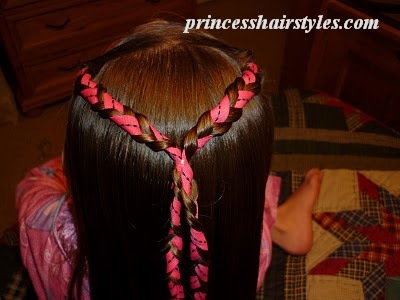 The Princess's hair is almost to the middle of her back and I barely had enough length to form the heart. My dd has school at 7:40 and we dont want to get up any earlier than 6:30 so I bought a silk shower cap ( I think it is really called a sleeping cap) for a few bucks at walgreens. I put it in my dds hair before bed and it works wonders for keeping her hair in place. I recomend getting one!! I love ours!!! 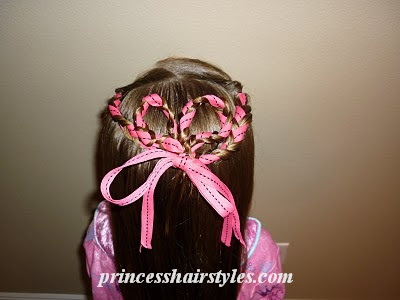 PS loves the cute do's!!! wow! this is soooo gorgeous! this is my first time here and i love it! Thanks for the tip! I'll have to look for one of those!! How cute! If you have shorter hair, you could skip the heart and stop after you band the briads together. how long does each ribbon have to be?